What is the Foreign Languages Forum? The Foreign Languages Forum (FLF) is organized by ELT NEWS, the only magazine in Greece that reports on developments regarding language teaching around the world. ELT NEWS has been published every month, since March 1987 and has been serving the FL teaching community in Greece for more than a quarter of a century. The FLF's main objective is not only to promote foreign language teaching materials but also to create a platform that will enable practicing teachers to exchange ideas as well as encourage cooperation amongst ELT professionals in both the private and public sector. The 1st Foreign Languages Forum took place in September 2012 and was warmly welcomed by the foreign language teaching community. The plethora of talks, presentations and panel discussions attracted professionals from all over Greece. The Forum originally was organised twice a year in Athens and Thessaloniki but since then it has moved to other regions of Greece, including Patras, Xanthi. From 2018 the FLF will also take place in Larissa, thus covering most of the regions in mainland Greece. 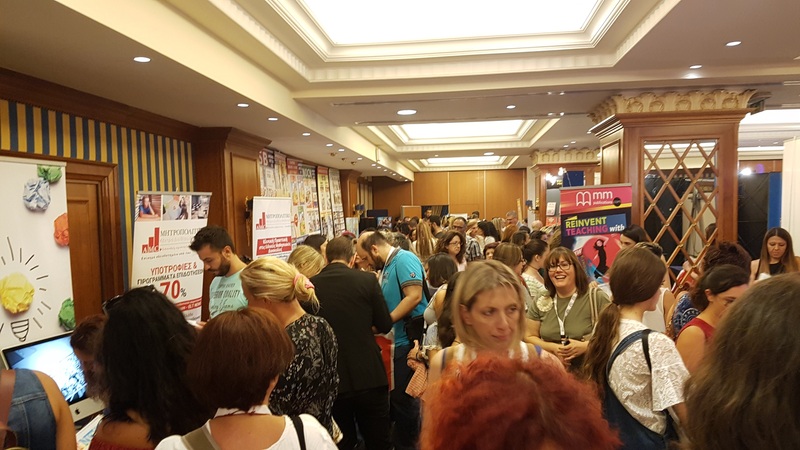 The FL Forum has grown to become one of the leading ELT events in Greece, attracting more than 4000 professionals. Should you have any questions, comments or suggestions, do not hesitate to contact us.